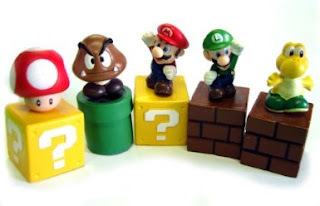 5-piece Super Mario Bros Figure Set Only $7.20 Shipped! Hurry over to Amazon to score a 5-piece Super Mario Bros Figure Set for only $7.20 shipped! This makes each figure only $1.33 and they can be used as cake decorations too! NOTE: To get this price, you'll need to look on the right under "More Buying Choices" and purchase from the seller called "Gaming Empire".